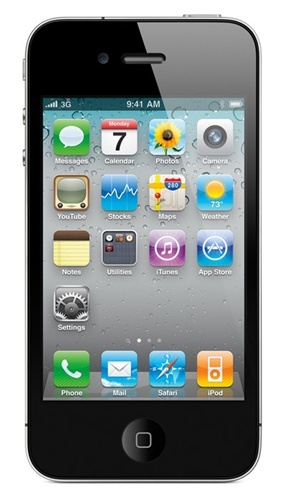 The Apple iPhone 4 combines the latest cutting edge technology with a sleek, sophisticated design. The software is extremely easy for anyone to use and the thousands of available applications make it easy to personalize your iPhone so that you may manage work and play all from the palm of your hand. This time around, Apple listened to the requests of their customers and have delivered more power under the hood including a 1Ghz processor, a 5-megapixel camera with an LED flash, and HD video recording. Whether you are a veteran iPhone user ready to upgrade or a first-time user, now is the time for change! iPhone 4 introduces a whole new way of multitasking. Now you can run your favorite third-party apps — and switch between them instantly — without slowing down the performance of the foreground app or draining the battery unnecessarily. This smarter approach to multitasking is available only on iPhone. Shoot your own movies in high definition. Capture impressive video even in low-light settings, thanks to the advanced backside illumination sensor and built-in LED light. Then edit and create your own mini-masterpiece right on iPhone 4 using the new iMovie app — with Apple-designed themes, titles, and transitions.